Southwest Virginia is one of the most overlooked adventure epicenters in the Southeast. The region is blanketed with massive tracts of national forest, capped with cloud-parting summits, and airy expanses of high country found no place else in the state. The vast network of trails draped over Southwest Virginia’s wild spaces provides a portal to countless outdoor adventures—and links an array of picturesque mountain towns, each with a unique vibe. Best of all, these are still plenty of undiscovered gems to explore. Here are some of the small towns in the region that serve as an excellent base of operations as you explore the outdoors. Dubbed the "world capital of old time mountain music," Galax, Virginia, is already on the radar of bluegrass connoisseurs. 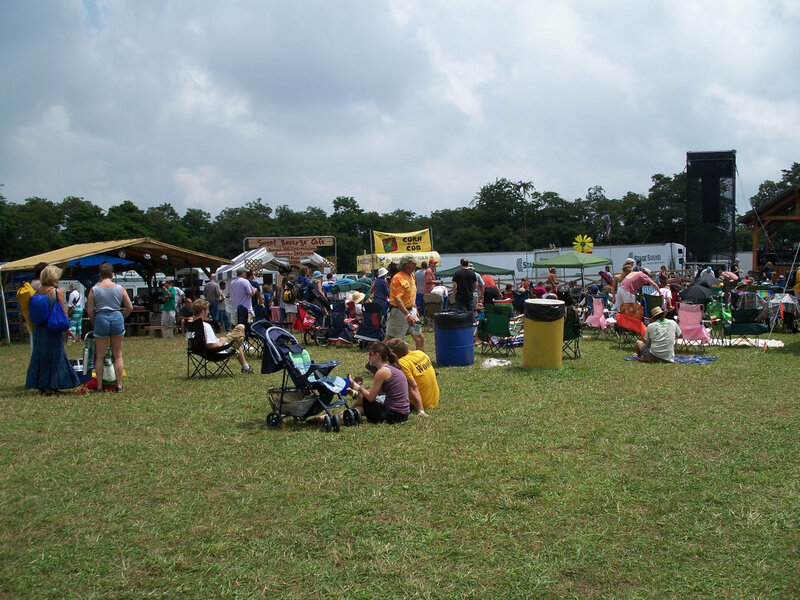 It’s the home of the Old Fiddlers Convention, the largest event of its kind in the world, dating back to 1935. Beyond world-class bluegrass, Galax is also loaded with small town charm and epic trails. The 57-mile New River Trail, cradled by the linear New River Trail State Park, begins in the heart of town, and traces the course of the New River, ironically one of the oldest waterways on the planet, for 39-miles. Plus, the town is just seven miles from the Blue Ridge Parkway. After a run, hike, or ride, Galax’s walkable downtown offers everything from BBQ joints to bike shops to boutiques, plus plenty of toe-tapping tunes. Swing by the Stringbean Coffee Shop and Shamrock Tea Room for one of their weekly Tuesday night jam sessions. 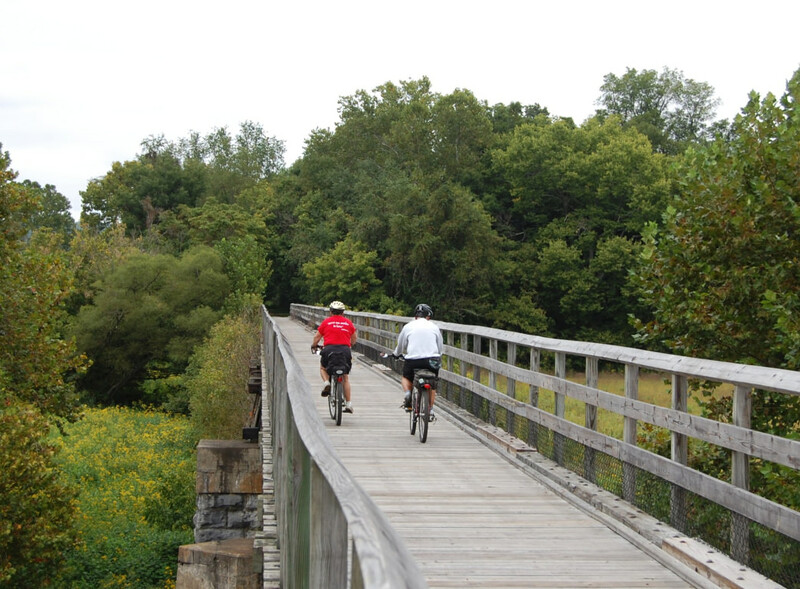 One of the most historic locations in Southwest Virginia, Abingdon is also one of the region’s premier trail towns. The westernmost trailhead for the 34.3-mile Virginia Creeper Trail is located in the heart of town. 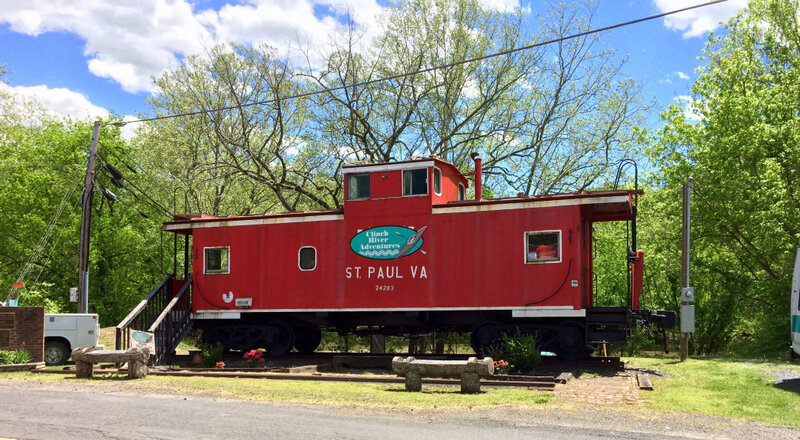 The nationally recognized rails-to-trails route once accommodated the locomotives huffing through the mountains of Southwest Virginia, but it’s now leading cyclists through the Mount Rogers High Country, and along Whitetop Laurel Creek. Aside from the trail, there are plenty of other reasons to stick around Abingdon, like the historic Barter Theatre, which is the nation’s longest running professional theater, dating back to 1933. While you’re there, treat yourself to luxurious comfort at the historic Martha Washington Inn & Spa and grab a local beer at the Wolf Hills Brewing Company. Perhaps one of the region’s most overlooked adventure hubs, St. Paul offers an eclectic trail buffet. Stretched along the shores of the Clinch River, the town offers paddling access to one of the most biodiverse rivers on the planet. Above town, the Mountain View Trail System features 100 miles of rugged riding for Off Highway Vehicles (OHVs) and dirt bikes–showcasing spectacular valley vistas. For a slower ride, there’s the 8-mile Sugar Hill Trail Loop, paralleling the Clinch River with the option to link up with the Guest River Gorge Trail for a 16-mile excursion. Off the trail, riders can recover at the Sugar Hill Brewing Company. Damascus is hardly a secret to weary thru-hikers on the Appalachian Trail. The renowned footpath goes right through town, and Damascus is known for offering even the smelliest hikers a warm welcome. 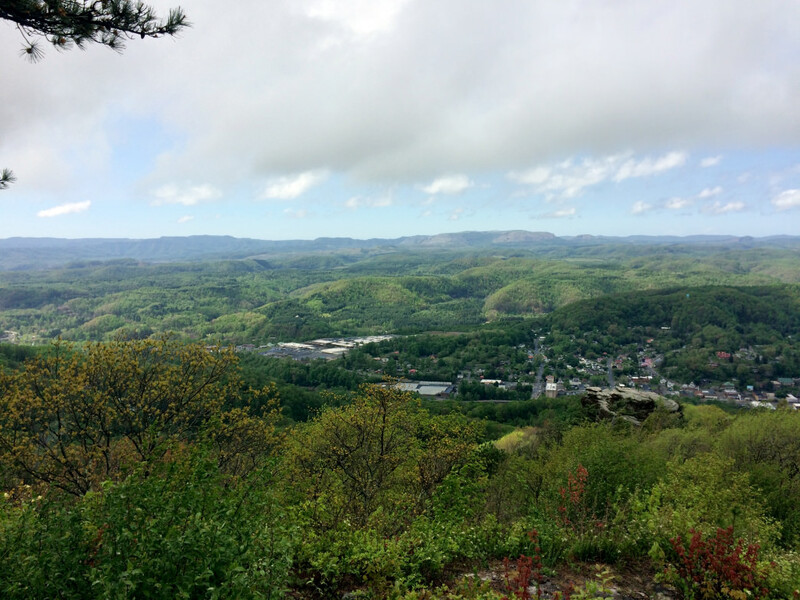 But it’s not just the Appalachian Trail—the town is a junction for a whopping seven trails total, including the Virginia Creeper Trail, the Iron Mountain Trail, the Daniel Boone Heritage Trail, and The Crooked Road Music Trail. Plus, plenty of post-adventure perks pepper the town like the Damascus Brewery and Mojo’s Trailside Café. Floyd, Virginia, may be famous for Floydfest, the five-day outdoor musical festival, luring reggae and jam bands, but the town has plenty of adventures on tap too. For cyclists, there’s the Tour de Floyd route, a mapped metric century with nearly 6,700-feet of climbing—nearly half of which is along the Blue Ridge Parkway. 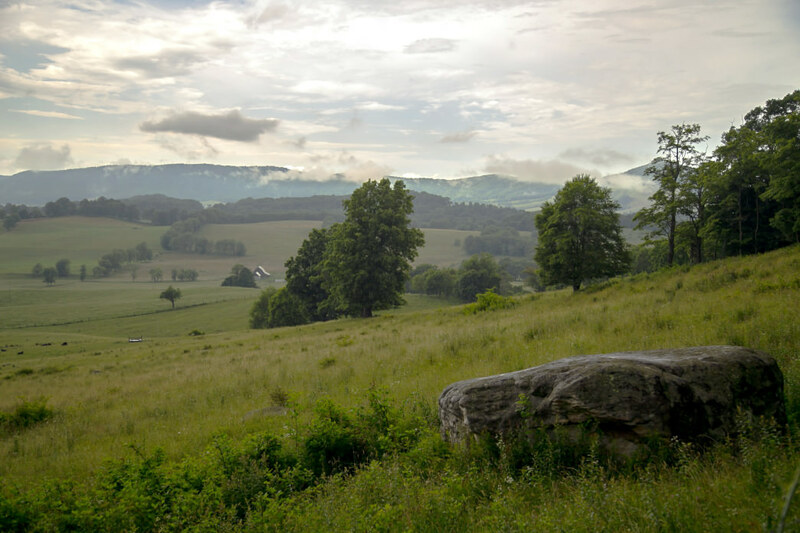 Hikers can head to the trail-laced Rocky Knob Recreation Area with options like the 10.8-mile Rock Castle Gorge Trail or the 3-mile Black Ridge Trail. Plus, there’s the exceptionally biodiverse Buffalo Mountain Natural Area Preserve. The 3,971-foot summit is blanketed with airy glades and dotted with wildflowers and offers hikers 360-degree vistas. Marion has made a name for itself as a cultural hub, with highlights like the historic Lincoln Theatre and the town’s monthly Arts Walk, connecting visitors with local artists and musicians. However, beyond the blossoming arts scene, Marion has also has plenty to entertain lovers of fresh air. The town is just minutes from Hungry Mother State Park. Anchored by a 108-acre lake, the recreation area offer paddlers plenty of mountain-shaded water, plus 17-miles of hiking and biking trails. At the end of the day, visitors can toast their outdoor adventures at Headspace Brewing Company, Marion’s first craft brewery, or at The Speakeasy, a Prohibition-themed gastropub housed in the town’s charm-loaded General Francis Marion Hotel. Overlooked by the towering Flag Rock Recreation Area, Norton is the ideal basecamp for all sorts of outdoor adventures. Just three miles from town, the Flag Rock Trail System offers 8-miles of singletrack spread over the lower reaches of High Knob. The recreation area is also a designated sanctuary for green salamanders—and for a Sasquatch-esque creature locally dubbed the "Wood Booger." Above Flag Rock, the High Knob Recreation Area of the Jefferson National Forest is garlanded with routes like the 33-mile High Knob Trail and the leisurely mile-long Lake Shore Loop. Cap off the day in the cozy, subterranean pub at the Inn at Wise. Wytheville has a little something for everyone. The birthplace of first lady Edith Bolling Wilson, the town is sprinkled with museums—like the Haller-Gibboney Rock House Museum—and a smattering of antique shops, art studios, and one-of-a-kind eateries. Plus, there are plenty of ways to head outside. The town-owned Crystal Springs Recreation Area offers an easy escape for hikers and singletrack seekers, and slightly further afield, the Seven Sisters Trail is a birders paradise, offering hikers a 4.8-mile tour of Little Walker Mountain, with the opportunity to spot species like ruffled grouse, Acadian flycatchers, and pileated woodpeckers. Backcountry aficionados can make tracks for the Kimberling Creek Wilderness Area of the Jefferson National Forest—a medley of oak and hickory, punctuated with flowering dogwood and rhododendron, spread along the southern edge of Hogback Mountain. After a day on the trail, stick around for the Davis Valley Winery. Tazewell is the perfect jumping off point for one of the region’s most stunning natural features, Burke’s Garden, a mountain-encircled crater aptly nicknamed God’s Thumbprint. The entire crater is designated as a National Historic District, ideal for road riders, and the New River Valley Bicycle Association has even mapped a Burke’s Garden Century route. The group also hosts an annual Burke’s Garden Century event every Fall (on Virginia Tech’s move-in weekend). Meanwhile hikers can get a bird’s-eye view from the Appalachian Trail—and afterwards, there is the Burke’s Garden General Store (6156 Burke’s Garden Road), offering baked goods, sandwiches, and Amish-made gifts. Nestled at the foot of Draper Mountain, Pulaski is the perfect portal to outdoor adventure. Mountain bikers don’t have to stray far from the historic railroad town to hit the Draper Mountain trail network, featuring 8- miles of precision-crafted singletrack, with enough gritty ascents and rock features to cater to advanced riders. Paddlers can set out for Gatewood Park and Reservoir. The sylvan recreation area anchored by the serene reservoir features 162 acres of water to explore. Aside from outdoor wonders, the town has highlights like The Marketplace, one of the region’s top farmers markets, featuring live music and a varied selection of wine and microbrews (Tuesdays 4 p.m.- to 8 p.m., May through August). For the quintessential summer evening, head to Calfee Park, home of the Pulaski Yankees, and one of the oldest minor league ballfields in the country.